An action-packed night in Mexico City was capped off by a thrilling five-round main event that saw Sergio Pettis earn his fourth win in a row by defeating local favorite Brandon Moreno in a showdown between top 10 flyweight. Pettis survived an early onslaught from Moreno in the opening round as the fight hit the mat and the former Ultimate Fighter competitor nearly locked in a rear naked choke several times while staying in complete control on the ground. 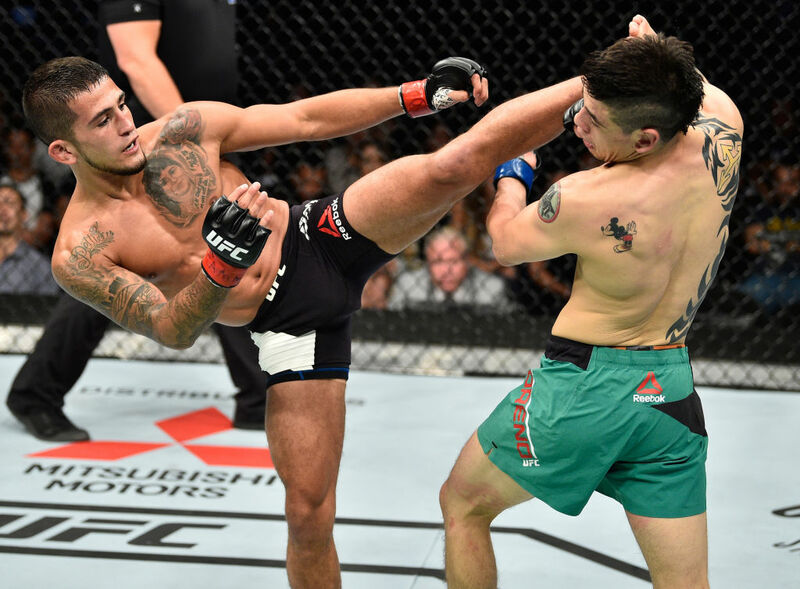 From there, Pettis started to take over with his diverse striking attack as he bombed Moreno with several stiff combinations while also tagging the rising star with a series of stinging head kicks throughout the final four rounds. Pettis showed off a ton of veteran poise as he attacked Moreno with fast, punishing punches and then got out of the way before he could be taken back to the ground. When it was all over, the judges agreed that Pettis had done enough to earn the victory as he moves one step closer to a title shot at 125 pounds. According to the picks made by fantasy players going into the event, Pettis was a slight underdog, with 43 percent selecting him to win versus 57 percent in favor of Moreno. 65 percent of the players who did pick Pettis correctly predicted that he would win by decision while the fight also earned an extra 120-point bonus because it was such a tight matchup on paper. In the co-main event, Alexa Grasso returned to form with a hard-fought split decision win over No. 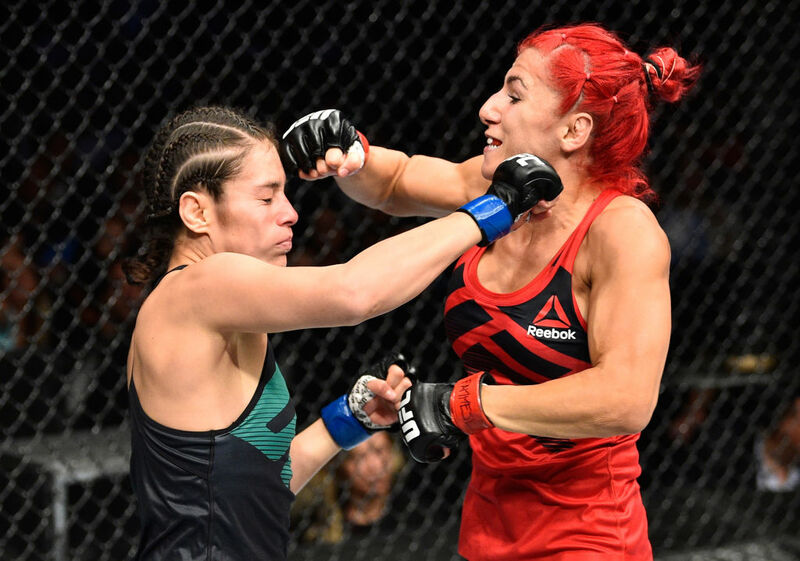 9-ranked Randa Markos in front of a raucous home country crowd. Despite not being ranked in the top 15, Grasso was still heavily favored by fantasy players, with 68 percent picking her to win on Saturday night. 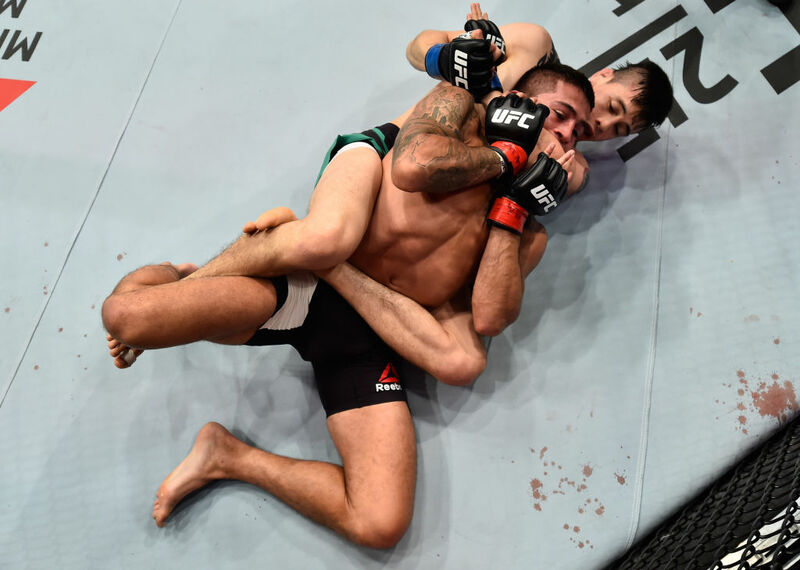 In one of the bigger upsets on the card, Niko Price remained undefeated with a stunning first-round TKO over Alan Jouban despite just 19 percent of fantasy players picking him to win. To his credit, Price pulled off the victory with 58 percent of those players who selected him to win also predicting that he would finish the fight by knockout. While Price was an underdog, newcomer Humberto Bandenay was facing even tougher odds as he went up against Ultimate Fighter Latin America winner Martin Bravo with just 13 percent of fantasy players picking him. Bandenay might have a few more people picking him the next time after he obliterated Bravo with a first-round knockout that silenced the crowd in Mexico City. Because it was Bandenay's debut, he also earned an extra 40 points for the players who selected him. Sam Alvey eked by former champion Rashad Evans in a middleweight matchup, with 54 percent of players picking him in the fight, while Alejandro Perez had to survive several knockdowns to claw his way back to a split decision victory over Andre Soukhamthath with 69 percent of players selecting him to win. On the preliminary card, Jack Hermansson earned a rousing first-round TKO to put away Bradley Scott, with 72 percent of players picking him to win. Meanwhile, Dustin Ortiz added a huge highlight to his career resume with a blistering 15-second knockout over Hector Sandoval, with 78 percent of players correctly predicting he would emerge victorious. RELATED: Rivas returns to Octagon after battle with cancer | Sergio Pettis "I see a lot more wins coming"
As far as upsets on the preliminary card, Jose Quinonez had one of the biggest wins as he earned a unanimous decision victory over Diego Rivas after just 34 percent of players picked him to win. The same could be said for Jordan Rinaldi, who pulled off the rare Von Flue choke submission to defeat Alvaro Herrera after just 32 percent of players picked him in the opening fight on the card. 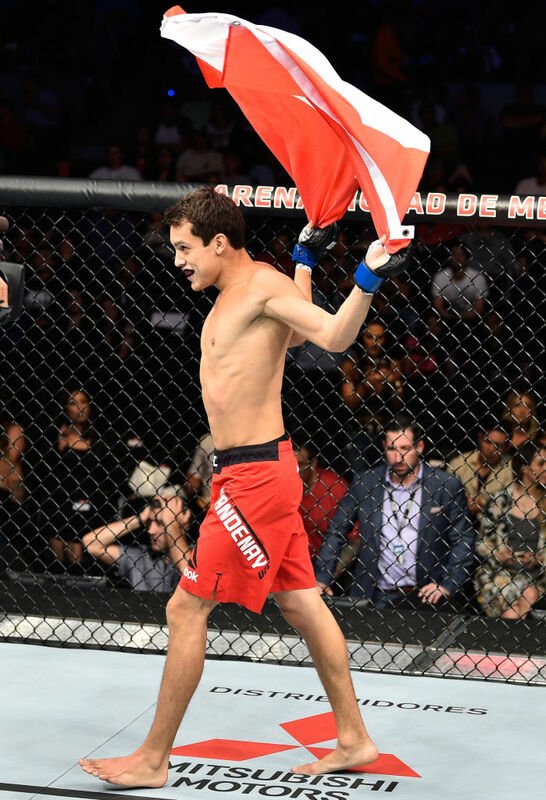 Despite making his debut on the card in Mexico City, Joseph Morales was one of the bigger favorites, as he picked up an impressive win over Robert Sanchez with 69 percent of players selecting him while also earning another 40 points since he got the job done in his first UFC fight. All told, UFC Fight Night from Mexico City saw seven favorites get the nod while five upsets occurred according to the selections made by fantasy players going into Saturday night.